Glenn has done it again with a tremendous discount on a great product. MSRP is $295.00, our price, while supplies last is $139.95 for these BRAND NEW! 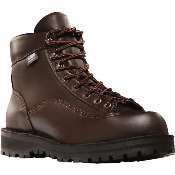 Danner Acadia Style 26000. (Some are in original boxes, some are not.) Check the shopping cart to see what sizes (all sizes are USA sizing system) are left, if you see yours, grab it, once gone they are gone for good! Special note: At the moment we have one pair of size 8D that look brand new. When we went to ship them to someone we noticed dirty in the sole. There are literally NO OTHER SIGNS OF USE. One pair discounted further to $110.00, once gone/gone for good. 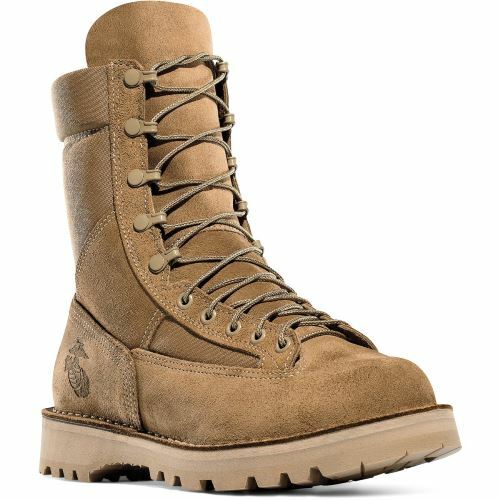 These Danner Desert Acadia® series boots provides today's soldier with military boots made in the USA that have proven to be a safe bet for thousands of our brave soldiers. Tough terrain won't bother the rough-out full-grain leather 1000 Denier nylon exterior. Dri-Lex lining provides excellent heat mitigation. Comfort is enhanced by a thick, cushioned footbed and self cleaning Vibram Sierra outsole. Danner's famous stitchdown construction gives the boot a more stable platform underfoot and superior durability. This boot is built to SERVE! Dri-Lex lining provides excellent vapor transport, is extremely quick drying, is completely breathable, resists odor and mildew in hot weather. Vibram Sierra outsole matches the color of our desert tan rough-out leather and fabric. The specific design and placement of the multi-directional lugs offer maximum traction and stability over various terrains, including wet and cold conditions.